In truth there is no simple formula to work out the cost to build a house. There are many variables to consider when estimating costs. 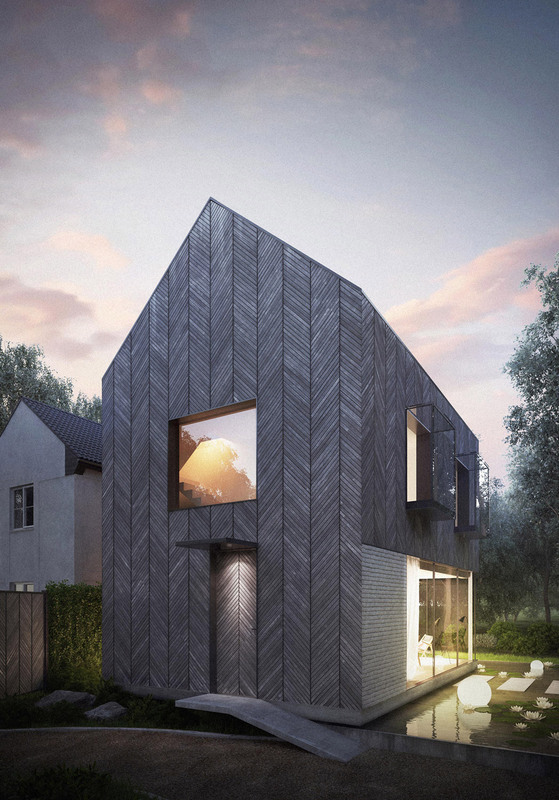 Generally for a new build, architect designed home in London or the South East, a minimum construction cost might be in the region of £1,750 per square metre (approximately £160 per square foot), plus land acquisition and professional fees. 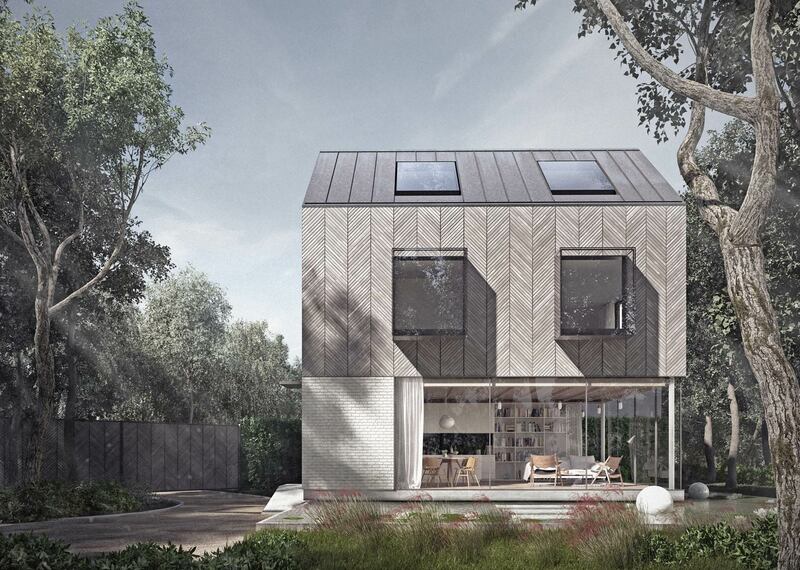 View Architecture for London’s portfolio of recent residential projects. Why might a new home cost more? Typically for new build homes in London several of the below apply, and therefore a minimum of £2,000 per square metre (£185 per square foot) may be a more realistic estimate. Constrained sites: are there party wall or site organisation issues? These can make the project more difficult for a builder. Difficult site access: is the site to the rear of a terrace, or accessed by a narrow track or mews street? Parking: are expensive permits required to park vehicles or skips outside? Foundations: are specialist foundations such as mini piles required to reach stable ground? Is underpinning required to the neighbour’s foundations? Superstructure: simple block and brick cavity walls are cost effective because London builders tend to be familiar with them, although they are slow to build. Non standard forms of construction will often attract a premium. 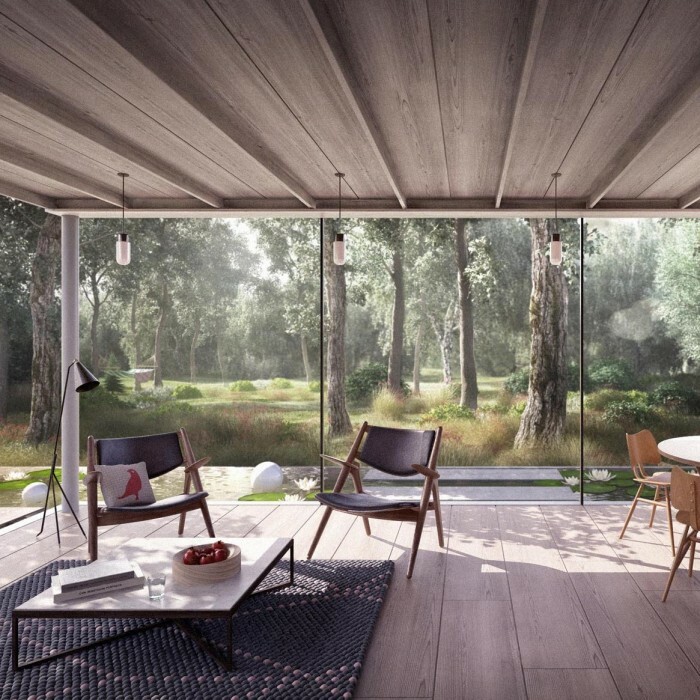 Cross Laminated Timber, for example, has many advantages in terms of environmental impact and construction speed, yet it can still increase total costs by around 10% for a new home. Postcode pricing: a competitive tender situation seeks to provide best value for the client, yet contractors may still price higher in certain boroughs. Glazing: large glazed areas will cost significantly more than a standard wall construction with more typical windows. Kitchen specification: is a brand name kitchen required? £50k or more for a brand name kitchen may not be a worthwhile cost, when £15k might well be sufficient for bespoke item with standard carcasses and good external finishes. There are many more considerations that affect residential build costs, and prices can reach £4,000+ per square metre (£370 per square foot) if the highest quality finishes are required and basements are added. Buying costs: solicitors fees, survey fees and Stamp Duty Land Tax. Finance costs: these will vary depending on the amount of loan required and the loan as a percentage of the total build cost. If you have a large cash sum to contribute, you will be able to take advantage of lower borrowing rates. If you require 100% borrowing for both the land and the build costs then the numbers of lenders is restricted and interest rates will be higher. 100% loans are typically released in stages when required, with only the sum needed to buy the site released initially. Consultants fees: fees for all consultants will vary depending on the size and complexity of the project. Remember to allow for an architect, structural engineer, services consultant, approved inspector and a party wall surveyor. Site purchase cost: this clearly varies considerably depending on the size and location of the plot. The other key variable is its planning status. A plot with consent for a house will be more expensive than the same plot without approval. There is of course significant risk involved in buying without planning consent, but the uplift in value can be considerable. A ‘subject to planning’ offer may be beneficial for both parties, as it helps to reduce the buyer’s risk. This also ensures that the vendor achieves a good price for the land. Stamp duty: buying a plot of land usually results in a stamp duty saving when compared with buying an existing home. The stamp duty will be calculated on the value of the land only, which is typically much less than the value of land with a house already on it. If the new build house is going to be second property then the potential savings are larger due the higher SDLT rates applied to second properties. CIL or Community Infrastructure Levies: these can be considerable in London, however self-builders are usually exempt. Individuals claiming the exemption must “own the property and occupy it as their principal residence for a minimum of 3 years after the work is completed”. Planning Contributions: these vary considerably, but in London many Local Authorities require financial contributions to help them build affordable housing elsewhere in the borough. Generally in outer areas these do not apply, with central zones having the highest costs. VAT: this is not payable on the construction costs of a new build house (see gov.uk for full details). 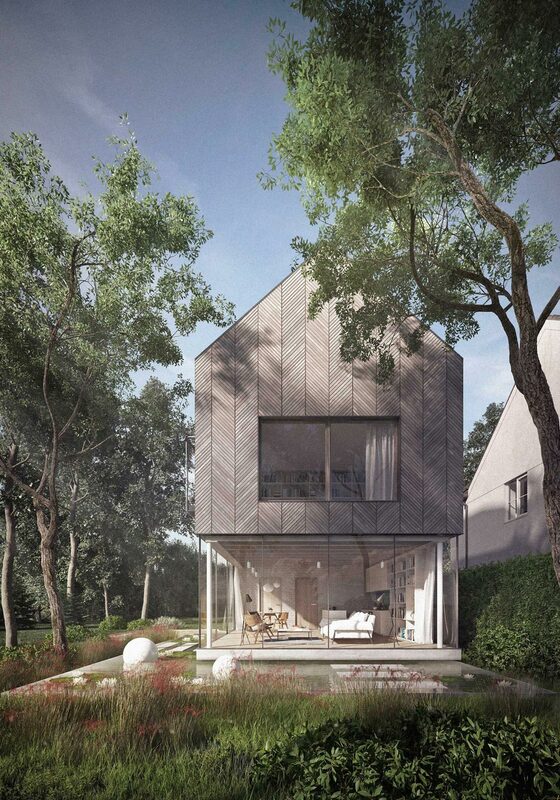 For work to be zero-rated, it must qualify as a “genuinely new, self-contained house or flat”. Please note that VAT will still apply to consultants’ fees. CGT: Assuming that the house will be your principle private residence, generally there is no capital gains tax to pay if you make a profit when you sell a new build house. Is it possible to make a profit? In London and the South East, many people want to build their own ‘grand designs’. Land is therefore scarce and plots for individual houses can command high premiums. The cost to build a house can even be less of an issue than the cost of buying land. Whilst it should be possible to realise a profit from building a house, the margins as a percentage of the overall costs may be smaller in London. The main driver for building a house is usually to create a home tailored to individual requirements. The Victorian terraced house just doesn’t work for all families! Additional benefits include sustainability – it is more straightforward to build a new house to a high standard (such as Passivhaus) than it is to retrofit an existing home. A new house presents an excellent opportunity to create highly insulated and draft free spaces. The environmental and comfort benefits are rewarding, not to mentioned dramatically reduced energy bills. Site: a large site with free parking and enough space for storage and efficient construction. Superstructure: cost effective blockwork throughout. Finishing specification: this was cost effective using brands like Duravit and Havwoods. Kitchen: also cost effective with IKEA carcasses and bespoke sprayed MDF doors. Special foundations: due to the proximity of protected trees, mini piles were required to avoid damaging roots. Glazing: large areas of glazing, including full height sliding doors to the garden. Timber cladding: timber rainscreen cladding is an addition over a standard block construction. Additional luxuries: a tiled terrazzo floor and work surfaces. Bearing in mind the above, the project was priced by a builder at £265k in 2018. This equates to approximately £2,000 per square metre (£185 per square foot).